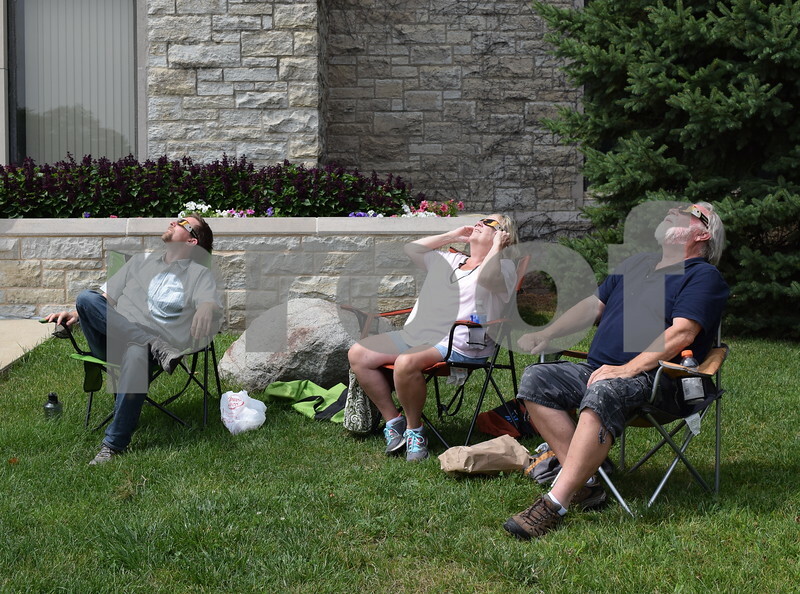 Paul Fix Jr. (left), assistant director for secondary science educator licensure at Northern Illinois University, and his parents, Elizabeth and Paul Fix Sr. wear solar eclipse glasses to observe the partial solar eclipse on Monday, Aug. 21. Fix's parents traveled from Wisconsin to watch the eclipse with their son. Fix was able to view the eclipse during his lunch break.